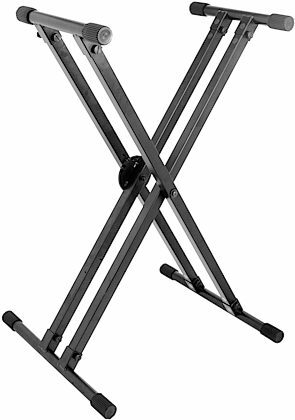 On-Stage Stands' KS8291XX is the top-of-the-line Double-X keyboard stand built for the most demanding of musicians.This pro-level model features the heaviest tubing found in On Stage Stands? arsenal and is built with an ergonomic trigger, internal rod mechanism, as well as a solid-steel spring-loaded deadbolt. The double-X frame makes this rugged stand a force to be reckoned with. 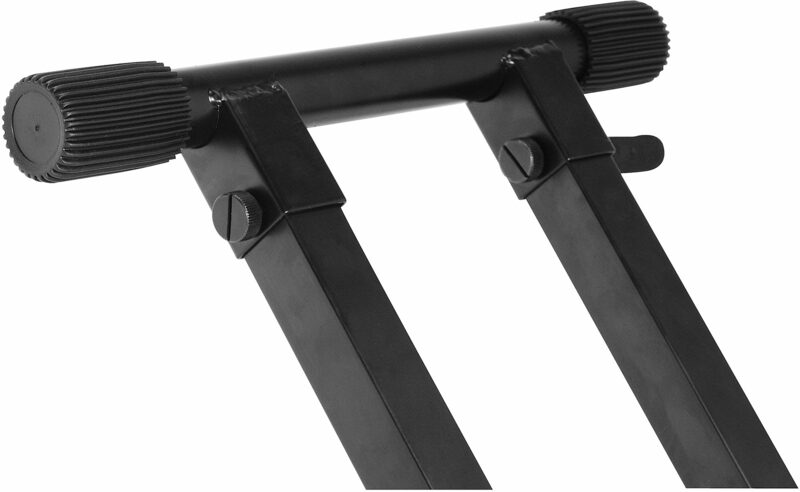 Simply squeeze the ergonomic trigger to disengage the clutch, position the stand at any of its five convenient height adjustments, and release the trigger to reengage the clutch. - Weight Capacity: 320 lbs. - Height Adjustment: 27-38 in. 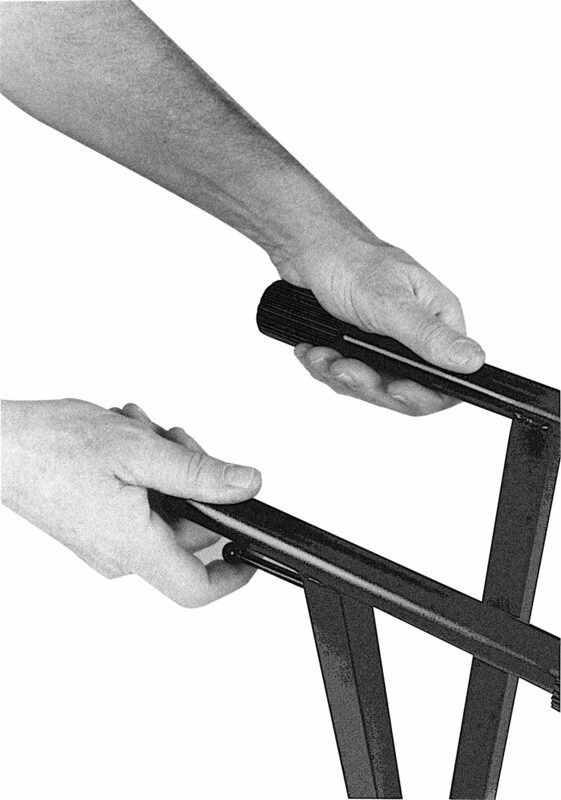 - Base Spread: 12-32 in.